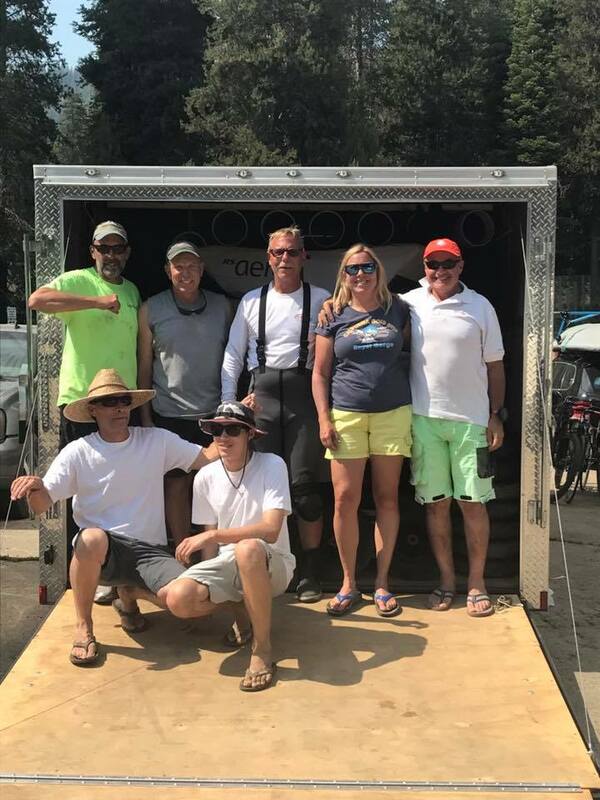 The High Sierra Regatta was a blast, with eight RS Aeros on the course, and a variety of different sailors trying out the boats. The racing was very competitive, with four different winners over the five races. Buff Wendt, Doug DuBois and Tom Burden battled it out until the last mark in the first race. Doug, a first-time Huntington racer, rounded the wrong bottom mark, which effectively ended his chances in the no-throwout regatta. Buff and Tom approached the bottom mark, and a monster gust hit just as Buff was completing her gybe. She wiped out, with Tom narrowly avoiding running over her mast. In Race Two, Doug got it together for the win. Tom neglected to cover Buff on the last beat and she found pressure to take second. In Race Three, Tom was able to navigate the brutal, fluky conditions and the big gusts. Doug was second, with Buff third. Craig Perez, who had lead the first lap, capsized back to fifth place. It was a exhausting day, and not typical of Huntington, where the breeze is known for its reliability. Sunday brought a more normal weather pattern, with the wind funneling down the lake, but it was still light and full of lulls. Temperatures of 106°F in the Central Valley have that effect on Huntington Lake. Buff Wendt caught the last shift on the beat in Race Four and made that stand up for the win, as Tom could not close the gap. So the final race started with the top two a point apart. Unfortunately for Tom, the Race Committee decided on a course change after our Preparatory Signal, so Tom and one other Aero sailor who did not hear the announcement rounded the wrong top mark. 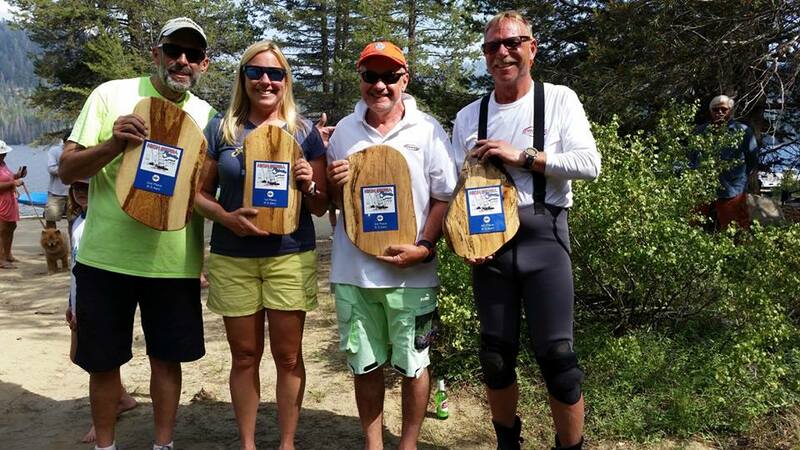 That was Game Over, and Buff Wendt became the first RS Aero winner at the High Sierra Regatta. 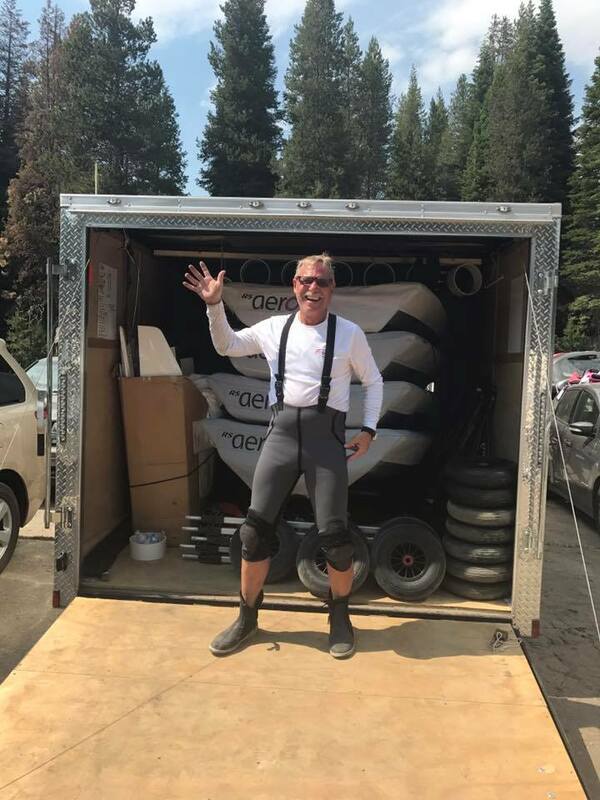 Big thanks to Brad Cameron, who volunteered to tow the Aero charter trailer to a bunch of California regattas this year. Brad really made the West Coast Aero Tour happen; this is how you build a new one-design class! 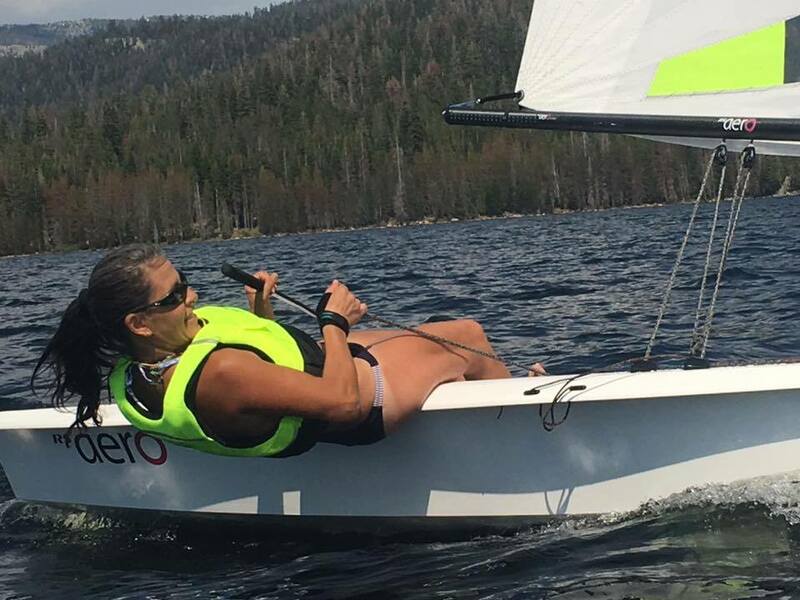 Thanks also to Bob Comstock of the Fresno Yacht Club for adding the Aero fleet to the regatta at the last minute. Next up is the Pacific Coast Championships at the Columbia River Gorge, August 18-20th. Charter RS Aeros available! I can really say that, after four regattas, I love sailing the RS Aero. The engineering is nearly flawless and the boat has no bad habits. The incredibly light weight makes pulling the dolly up a ramp or lifting the boat an effortless affair. But the people in the class, the friendly vibe and sharing of information, adds another dimension to the appeal of the Aero.